Designed to Show Homeowners, Home buyers and Home sellers how to increase a Homes Energy Effectiveness, without major renovations and improvements. The homeowner, after receiving the detailed inspection, and upon implementation of the recommendations of the IR ENERGY PROFESSIONAL, may see upwards of hundreds to thousand of dollars in savings, over 5-10 years. increase your homes energy efficiency. 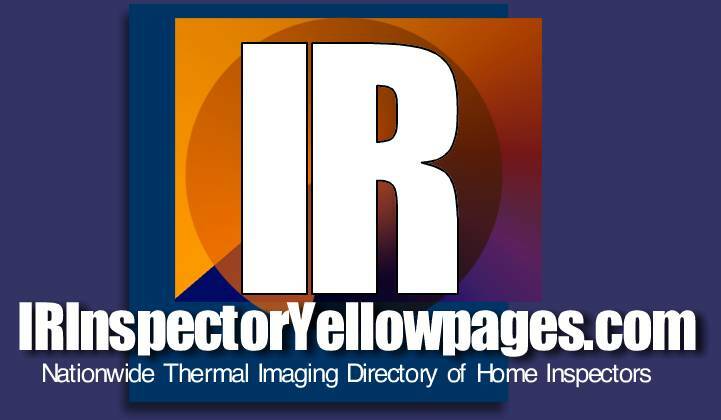 IR ENERGY PROFESSIONALS visually inspect areas, known to be energy loss areas. They bring to their inspection, specialized instrumentation, including, electronic moisture meters, IR Thermometers, and IR Thermal Imaging Camera Equipment. This program involves both theory and practical hands-on training. Upon completion of this program, you will be eligible for the designation of R.E.A. Designation (Residential Energy Assessor) from the Education Board of the Merrell Institute. You will also be permitted to join the Environmental Assessment Association ~ First Year Membership rate reduced from $ 215.00 to $ 59.00. The CEI Designation is granted to you once you join the EAA. Inspecting, Saving Energy, Innovations, this is the class for you. Think about the future...today! BECOME AN ENERGY PROFESSIONAL TODAY ! We will only permit 20 students to enroll in our next program! This class is not approved for continuing education, and is offered as a professional development class approved by the Housing Inspection Foundation and the Environmental Assessment Association. To Attend the Energy Inspection Program, Call us at 631-563-7720 TODAY!